(August 8, 2011) A number of Canada’s leading economists are far from objective when it comes to their tax and energy policy prescriptions, and they may sometimes produce opinion pieces that are not well-founded on fact. Some of the statements in Don Cayo’s Aug 2 article for the Vancouver Sun (see below) appear inaccurate or at least somewhat misleading. In his — and his source, the Conference Board’s — defence, the statements in question look like they came directly from Canadian academic “experts” on whom we all should be able to most rely for accurate and meaningful tax, water and energy policy analysis. Unfortunately, a number of Canada’s leading economists are far from objective when it comes to their tax and energy policy prescriptions, and they may sometimes produce opinion pieces that are not well-founded on fact. This makes me very sorry. The Conference Board and the media’s trust in them is easy to understand, but, unfortunately, not necessarily well-placed. I attach an excel workbook with a selection of easily accessible, publicly available data that belie some of the most popular environmental tax and energy policy “success stories” pandered by some advisors who are less-than-objective. The attached datasets go beyond topics touched on in Don Cayo’s article, hopefully positioning us to look more forward than back. The URLs for all of the data included in the workbook are provided in the first spreadsheet. There is much, much more data at each of the URLs than I include herein. When I look at the data, I cannot readily tell where the 12% reduction estimate comes from for Japan’s transport sector. (I include transport sector GHG estimates for many nations for 1990 through 2009 in sheet 2 of the attached workbook.) But whatever number we use, it is the case that per capita Japanese transport sector energy demand and GHGs have fallen faster than Canada’s (yes, Canada’s have fallen), since 2000. At the end of 2009, Cdn per capita transport sector GHGs were back to 1997 levels, though they grew dramatically between 1990 and 1997. But the Japanese data clearly shows significant and continuing increases in per capita GHGs from single passenger vehicles, in spite of the fact that the data also shows reduced per capita use of those vehicles since about 2005. 100% of Japan’s reduction in transport sector GHGs is in the heavy duty freight (trucks) share of the vehicle stock. Look at the dramatic decline in the number of trucks and trailers owned and operated by Japanese businesses between 1995 and 2008 in the table below, and compare it to the increases in the number of passenger cars. There is no evidence in the available data that the Japanese marketplace has particularly shifted towards smaller or more efficient cars over that period or even recently. Yes, Prius sales are up. But sale of SUVs are up, too. In other words, it cannot be argued from the data that Japan’s registered transport sector GHG reductions have anything to do with any tax policy or product standards as they might relate to passenger vehicles. The numbers say this is all about reductions in truck and trailer use, which–in turn–reflects reductions in manufacturing activity and manufactured goods shipments within the boundaries of the ailing Japanese economy. Too bad, I say, because I am intuitively comfortable Japans’ automobile tax policies (though I prefer Norway’s) and product standards for single passenger vehicles, though I would by lying if I said that the Japanese energy use and emissions data backs up my intuition. In this context, I also think using the phrase “tax incentives to purchase fuel efficient vehicles” could create a misleading impression of what the Japanese tax policies (which I intuitively favour but cannot prove effective) are. That is because in the mid-to-late1990s the government of Japan massively restructured its energy tax regime to start a slow shift of government tax revenue dependence from new car purchase and fuel consumption taxes to an annual car registration tax that does give buyers/owners of alternative energy and lighter (smaller) vehicles a small tax advantage over owners of gasoline/diesel-powered and heavier vehicles. Today, there is still a very small tax advantage on the purchase of alternative energy vehicles. The tax on a purchase of a new electric vehicle is 2.3% compared to 5% for a diesel or gas-powered car. This is not a large enough difference to change purchase decisions. The annual car re-registration tax goes up with engine size (not vehicle weight or emission rating), and has a more significant impact on car purchase decisions. There is no other “tax incentive” for Japanese consumers to buy more efficient vehicles (i.e. there is no purchase rebate). Look at sheets 4 and 5 for the tax rates, categories and revenues for Denmark, Japan and Sweden. As mentioned previously, I prefer Norway’s auto tax structure, then rank France’s 2nd (these are not included in the attachment, but you can download them from the provided data source). Among the three tax structures you see outlined in the attached, I think Sweden’s is the best. Japan’s shift away from car purchase taxes / incentives and fuel consumption taxation to annual vehicle registration taxes follow the lead of European nations. Most European nations started to shift away from fuel consumption taxation to annual vehicle registration tax measures by 2000 and all EU member states had initiated that shift by 2006. No European nation that had not introduced a carbon tax or fuel duty escalator by 1999 has introduced one since. Note that in sheet 5 in the attachment I have highlighted the year in which revenues from each type of environmental or energy tax actually peaked for each of Denmark, Japan and Sweden. A peak revenue year almost never means that demand for the taxed item peaked in that year. It usually means that the government has figured out that it is an inefficient or regressive tax measure and that government needs to slowly eliminate it to address the problems it is causing. The primary reason for the massive shift from fuel consumption taxation and car purchase taxes to car weight-based annual registration taxes is that fuel consumption taxes tend to be highly regressive (eat up more of poor families disposable incomes than rich families’). But there is a pretty good correlation between vehicle weight and family income. So the annual weight-based car re-registration tax is much more efficient and less regressive than fuel consumption taxes. Of course, we will not talk about this massive tax system shift that has been taking place all around us for the last decade unless/until the Canadian experts who write about these things start to recognize it themselves. That is too bad, because the European and Japanese experience–and their changes in the tax regimes, pretty well prove that taxing fuel consumption and taxing/incenting auto purchases are inefficient and problematic measures, while taxing annual vehicle registrations based on car weight, distance used and emission ratings is proving a much better idea. I do not know how to launch a debate about these different options, however, in an atmosphere where most of the experts we call on for advice appear not to have noticed the substantial policy shift that has been taking place in other nations over the last 10 years. This finding is an artifact of the way we are electing to report GHGs — which artifact has been prescribed by the energy, food and importing nations. So even when we fully account for oilsands production emissions and water use, most finished petroleum products originating in Canadian refineries still have a lower lifecyle GHG footprint than similar products made in Europe, the US, Japan and many other places. Canadians are the world’s highest per capita exporters of almost all of the carbon-intensive products (crude oil, electricity, natural gas, petroleum products, aluminum, iron & steel, forest products, beef, pork and grains). Because we are such efficient and low-GHG producers of these products, however, when our exports displace alternative supplies produced in Europe, the US and Japan, global GHG emissions go down (not up), even after we account for international transportation emissions. For the most part, European, US and Japanese national GHG inventory reports appear to be outperforming Canada’s only because over the last 20 years those nations/regions have off-shored 20% to 40% of their manufacturing activity, becoming increasingly dependent on energy and other carbon-intensive goods imports. In other words, those nations’ global GHG footprints have gone up (not down) if they source their new imports from almost any nation other than Canada. But adopting a GHG inventory protocol that ignores each nation’s global footprints creates a significant opportunity for the importing nations to protect their less efficient industries at the expense of Canada’s more efficient industries. If we sign a treaty that obliges Canadian emitters and our trading partners to cut our industrial discharges by 20%, the European and US smelters will be in full compliance with a GHG intensity of 10 TCO2e per tonne of aluminum, while the Canadian smelters will have to figure out how to get from 6 to 5. It costs almost 3 times more to reduce from 6 to 5 as it costs to reduce from 12 to 10. So a treaty defined in this manner actually drives capital investment into the US and EU, at the expense of the already more efficient Canadian producers. In all likelihood, under such a treaty, more GHG-intensive (10 versus 6) US and European aluminum will displace Canadian exports in the US marketplace, due to the new subsidy for old smelters effected by the decision to define “performance” in the GHG treaty as a % reduction in historical GHG emissions–rather than a treaty that treats all aluminum with the same GHG footprint the same way. To get a sense of how making less at home and importing more shows up as GHG reductions in a national inventory, look at Sheet 8. It shows you that–contrary to modern myth–per capita car ownership rates have been increasing very fast in Europe. If I had included Canadian data (which you can download) you would see that since 1990 EU car ownership and use rates have grown faster than Canada’s over the entire period. But the GHG increases arising from these trends are more than offset by the GHG reductions arising from reductions in EU-wide auto-manufacturing output and increased reliance of those EU markets on car and fuel imports. The data in sheet 8 also shows that it is a myth that European consumers are buying smaller and more efficient cars. Large, heavy and inefficient vehicles make up a larger and larger share of the cars on EU roads, and their share has grown faster than large vehicles’ share has grown in Canada. This is, in part, due to a perverse but normal market reaction to European and Japanese taxes that resulted in an increased gap between the price of new, more efficient vehicles and used, inefficient vehicles. As a direct result of poorly-defined auto standards, over 46% of the cars on European, California and Japanese roads are now over 12 years old. (Less than 15% of the cars on BC roads fall into this aged class.) In fact, per capita non-freight transport emissions have grown faster in Denmark, most of Scandinavia and California than they have in Canada since 1990. This is because of the perverse market effect of the regulations that simply drive up new car prices relative to used cars. It is also in recognition of this perverse outcome that most European and Japanese governments started to phase out–5 to 10 years ago–exactly the vehicle standards regulations (to be replaced with more rationale alternatives) and tax combinations that the Conference Board of Canada’s advisors so aggressively advocate for adoption in Canada today. You might also look at the specific case of Denmark–sheets 10 and 11. There you see that the lion’s share of Denmark’s nation-wide GHG reductions reflect: (1) a continuously declining manufacturing sector, and related reductions in heavy duty truck transport emissions, and (2) Denmark’s increasing dependence on crude oil and, more recently, thermal coal imports–as opposed to domestic energy production–to meet Danish energy demand. The decision of energy, building product and food importing nations to impose national GHG accounting method that draws boundaries strictly around national GHG inventories (as opposed to counting global GHGs associated with domestic energy, building product and food consumption) has no environmental integrity. It does deliver a systemic and perpetual competitive advantage to the less-efficient producers in the importing nations–at the expense of the already more efficient exporting nations–if/when we all sign on to regional cap and trade market rules. My largest frustration is that so many of Canada’s leading experts–not really looking at the numbers–still have not figured this out. A fair and free market set of national and international trading standards would treat every unit of aluminum sold in North America and elsewhere the same way, based on its GHG intensity (production plus transport GHGs per tonne of product sold). This would reward companies that are low GHG-producers if they can efficiently ship their products from the point of production to the point of sale. However, the goal of European, US, south Korean, Japanese and–more recently–Chinese carbon and energy tax policies is not environmental protection, but trade protectionism. If only these advisors would look at the data for the last 10 years, we in Canada might have a chance at avoiding the very policy mistakes our international competitors have been trying so hard to resolve, while they encourage us to repeat their mistakes–to their potential trade advantage. “The Swedes have got a lot of mileage out of their carbon tax…”??????? Energy use and GHGs for most large industrials (“energy-intensive” or “VAT-registered” industry) are and have always been typically 100% exempt from both carbon and other energy taxes, or qualify for 60% to 100% rebates. Energy used and GHGs discharged in the production of exported commodities are also exempt from these taxes. Energy used and GHGs discharged by oil refineries and power producers are specifically 100% exempt from emission taxes and most other energy taxes. 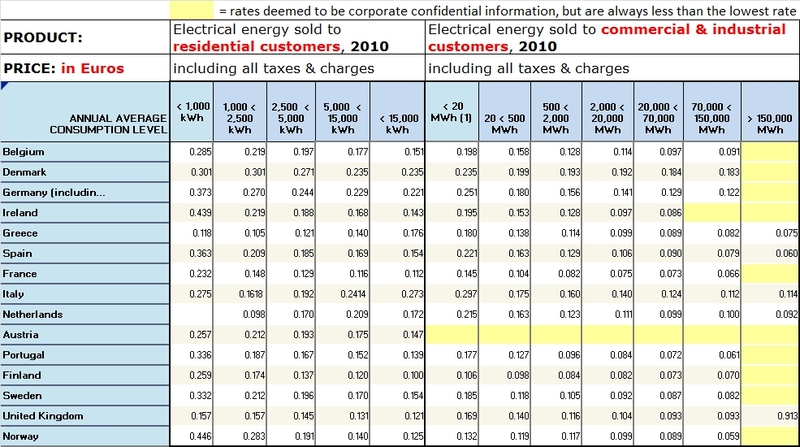 As a result, look at the differential between tax and fee-including electricity prices paid by European industrials and families in 2010 (below and also on sheet 7 attached–which also includes the numbers for 2005). 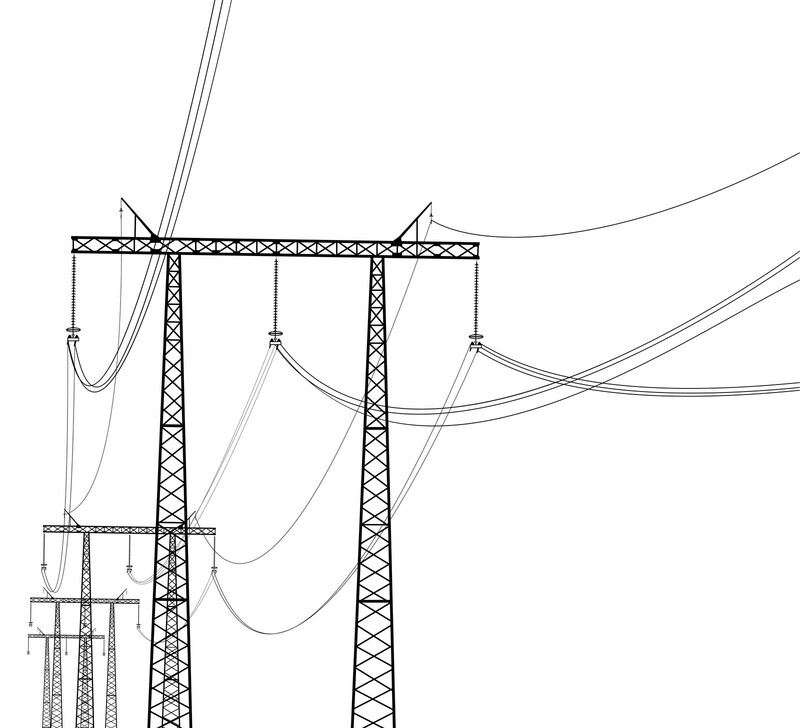 In 2010, the Swedish small apartment owner paid over 33 euros/kilowatt-hour for electricity, while Sweden’s largest industrials paid well under 8 euros per kilowatt-hour (including all taxes, transmission, distribution and administrative charges). This is not a recent shift in European energy and carbon tax policy. 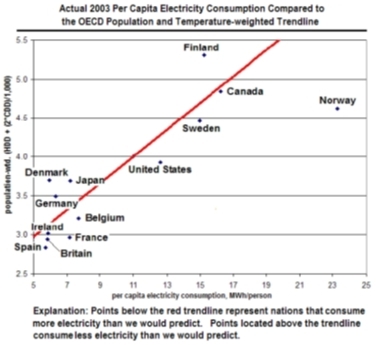 European and Japanese larger industrial energy consumers have always been largely exempt from high energy duties and carbon taxes (since their very first introduction)–and in many cases that have always paid less for electricity and fuels than their Canadian counterparts. No rational analysis can conclude, from the data, that there is any link between carbon tax policies and other nations’ domestic GHG trends–because the reductions are in untaxed demand. A serious analyst would quickly ask: what is so bad about this combination of tax and energy policies that families still cannot get 100% clean energy for the outrageous prices they now pay for utilities? There is, in fact, absolutely no demonstrable relationship between trends in energy tax rates, retail prices and demand in Japan, Sweden or Britain. Correlation does not necessarily prove a causal relationship between price and demand. But correlation is a necessary, though not sufficient, element in any proof that a change in demand derives from any particular tax or energy policy. 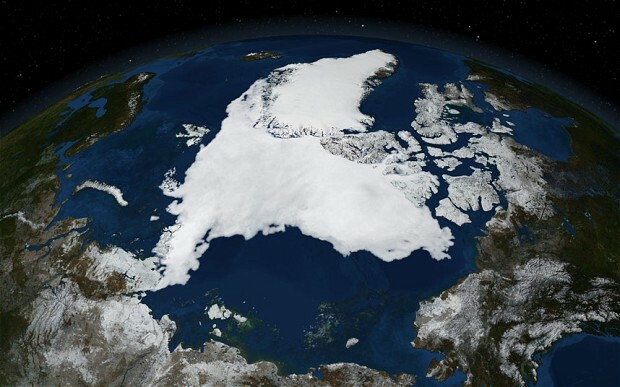 Since the data clearly shows that all GHG reductions in these nations have been realize by tax exempt sources, “experts” who suggest a causal relationship between the tax, energy demand changes and GHG reductions are simply making this story up. But the UK has achieved limited real progress towards this end since roughly 1997/98. (100% of the power sector GHG reduction between 2008 and 2009 reflects reduced electricity demand during the depths of the financial crisis in the UK.) In pre-recession 2007 and 2008, fossil fuels’ share of total UK electricity demand surpassed the previous 1990 peak, having increased every year-over-year since 1994. In this and other areas, the Conference Board advisors applaud nations that implement policies the advisors think should work. Their analysis apparently does not consider actual results. It is sad that we in might be on the brink of implementing wasteful tax and energy policies in Canada when reams of publicly available data have much to teach about what really works and what does not. We are on that brink, I believe, largely because our leading researchers are not really doing much research–they are peddling opinions. This is also bad for Canadian students. For me, anyway — an economist — it is truly counter-intuitive that these popular tax measures and policies are consistently proving ineffective. The very interesting question is: why don’t the theoretical holy grails of energy tax policy work? I think I have developed some legitimate answers to that question, but certainly not all of the explanations that are called for. (I do not accept “lack of political will” as a legitimate response to this question.) I grieve that so few of our well-trained, well-rewarded academics are asking and pursuing answers to this question. Click here to read the original article, Canada trails many of its peers in reducing environmental impact, by Don Cayo, published in the Vancouver Sun on August 2, 2011. This entry was posted in Aldyen Donnelly and tagged Aldyen Donnelly, Conference Board, Don Cayo, Economics, emissions, energy policies, energy policy prescriptions, environmental tax, GHG, GHG footprint, Japan, Japan Statistics Bureau, Sweden, tax policies, tax prescriptions, Vancourver Sun. Bookmark the permalink.